Which girl doesn't love Shoes? 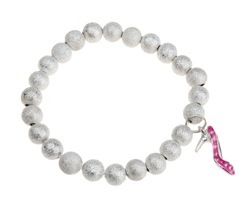 I Love Shoes bracelet are made with sparkly silver colored beads and adored with a stylish shoe charm. Just like any girl who wears it, the I Love Shoes bracelets dazzles when it catches the light.